Days after the 2017 Australian Ice Hockey League season drew to a close players from six teams jumped on a plane and flew across the ditch for the New Zealand Winter Games. Seventeen AIHL players from teams including Newcastle Northstars, CBR Brave, Perth Thunder and Melbourne Ice were selected to represent Australia in the Trans Tasman Challenge – a best of three game series between the rival nations as part of the winter games. Ice Hockey Australia, the governing body of ice hockey in Australia, announced the nation would take part in the 2017 winter games in August. IHA stated that it expected the games will be played “in great spirit, typical of Australian-New Zealand match-ups”. “IHA is thrilled to be a part of this,” the organisation stated on its website on August 10. “We believe the timing is perfect as both nations prepare for their 2018 assault on the world championships. Mat Lindsay, who was part of Australia’s silver medal winning team in the 2017 IIHF Ice Hockey World Championship, said he was excited to be wearing the green and gold jersey again. Lindsay, alternate captain of the Northstars, is also wearing the ‘A’ for the Mighty Roos in New Zealand. “It was a difficult and disappointing season for Newcastle this year, to have had this tournament to look forward to was a nice positive finish,” he said. “I have never been to New Zealand but have heard that Queenstown is beautiful so I am looking forward to seeing what it has to offer. 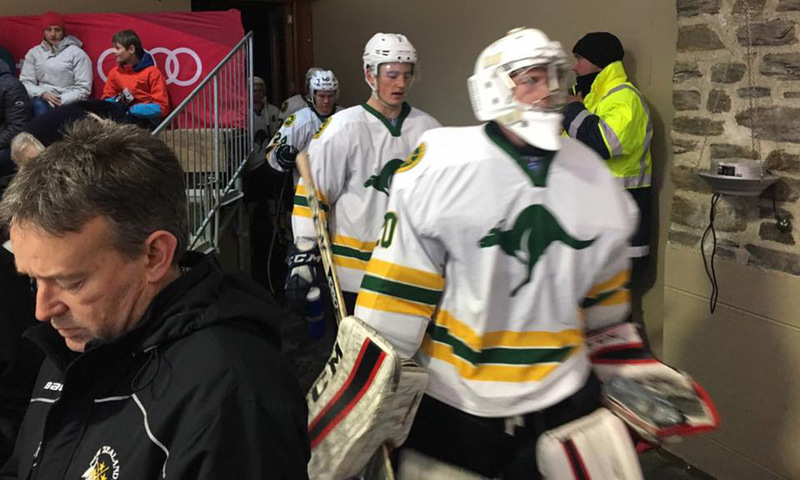 Australia playing in the New Zealand Winter Games is a unique opportunity for the country, ice hockey fans and the players. The players usually only have the one opportunity per year to wear the Australian uniform – in the pre-AIHL season world championship tournament. Brad Vigon, head coach of Australia’s senior men’s team, and assistant coach Matti Luoma said they too are excited to be taking part in the games. “Matti and I are so excited to be a part of this series, as we know this greatly benfits both countries, and adds more history to this fierce rivalry,” Vigon said. The Trans Tasman Challenge replaces the Trans-Tasman Champions League. TTCL was an ice hockey tournament between the AIHL and New Zealand Ice Hockey League. Its formation was announced in August 2011 with the top two teams from each league in the previous season playing against each other. The inaugural 2012 tournament, held in Victoria, Australia, was won by Melbourne Ice. The first game of the Trans Tasman Challenge was played in Queenstown on Thursday, a day after the Australian’s touched down in New Zealand. Australia, with just 17 players, was defeated by the Ice Blacks, with a full squad of about 25 players, 4-1. “We knew they were going to come out hard, this is their home and they made us pay for a few errors,” Vigon said of the game. Games will be played on Friday, September 8 and Saturday, September 9. Both begin at 5pm AEST. The games are expected to be live streamed on the Ice Blacks – New Zealand National Ice Hockey Team Facebook page.